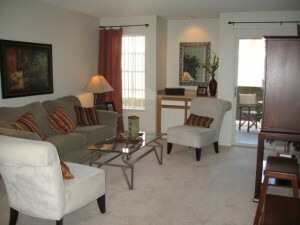 If you are thinking of renting in Las Vegas, a good choice is The Crossing at Valley Green, located in Henderson. If you are thinking of renting in Las Vegas, a good choice is The Crossing at Valley Green. These 1 and 2 bedroom apartments offer spacious rooms, great price and lots of amenities. The neighborhood is great too. Some units have wood burning fireplaces, dry bars, washer/dryer, walk in closets, tile floor, microwave, dishwasher, central heat and air, and storage space. Community features include 2 pools and spas, fitness center, clubhouse, and much more.